Tale Of the Cat has an affinity for FAPPIANO line mares. For example his champion daughter She’s A Tiger is out of a mare by CAHILL ROAD, a brother to UNBRIDLED. Tale Of The Cat is also enjoying marked success with UNBRIDLED’S SONG mares, with 11% black-type winners. They include the Gr.2 winners Appealing Tale, Alpha Kitten and A Shin Top, as well as the Gr.1-placed Luminance. There is also a Gr.3 winner, Favorite Tale, with a dam by GRINDSTONE. As Tale Of The Cat’s Gr.2 winner Spellbinder is out of a mare by Fappiano’s son QUIET AMERICAN, more mares from the Fappiano line are justified. 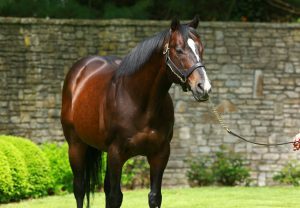 TALE OF THE CAT also has several other Graded winners inbred to MR PROSPECTOR, led by the Gr.1 winner Tale of Ekati (3x4) and the fast Forty Tales (3x3, with a dam by FORTY NINER). His champion son Gio Ponti is out of an ALYDAR mare (therefore inbred 4x3 to Raise A Native). 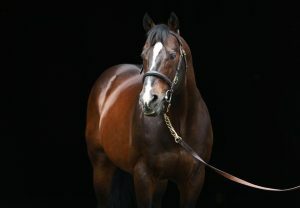 He has only seven foals out of daughters of INDIAN CHARLIE, but they include two stakes winners. Tale Of The Cat is doing well with the HAIL TO REASON line. Tale of Ekati is from a mare by Halo’s top son SUNDAY SILENCE, and he also has stakes horses out of daughters of RED RANSOM (4 stakes winners from 24 foals), SILVER HAWK, CURE THE BLUES, KRIS S., ARCH, DYNAFORMER, PRIZED and SOUTHERN HALO. His top son Lion Heart is out of a mare inbred 2x4 to HAIL TO REASON and his top-class daughter Stopchargingmaria has a second dam by KRIS S.
RIBOT line mares work too, those by KEY TO THE MINT being especially successful. Key To The Mint’s son JAVA GOLD sired the dam of the Gr.1-placed Resplendency. PLEASANT COLONY is the broodmare sire of several of Tale Of The Cat’s stakes performers, including the Gr.1-placed Galantas. Tale Of The Cat has a stakes winner out of a mare by TIME FOR A CHANGE. He also has a Gr.1 winner, My Trusty Cat, out of a PRIVATE ACCOUNT mare, and a DAMASCUS mare is the second dam of the Gr.1-placed Resplendency. 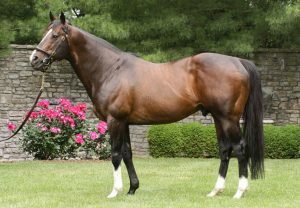 More BOLD RULER blood should also suit Tale Of The Cat - he comes from the same family as Pulpit, who is a grandson of SEATTLE SLEW. Tale Of The Cat’s Gr.1 winner Cat Moves is out of a CAPOTE mare, while his Gr.2 winner Tale Of A Champion has a dam by SEATTLE SLEW. His Graded winners Be Gentle, Tale Of A Champion and Ashley’s Kitty are inbred to Bold Ruler’s son SECRETARIAT.